A 3rd generation family business, Sorge Trucking is dedicated to serving their commercial, residential and industrial clients throughout Pincher Creek and Southwestern Alberta. 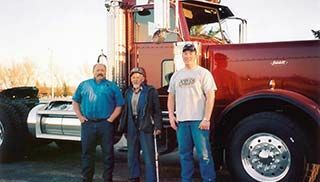 You can depend on our over 60 years of experience, quality work and competitive pricing. Call us today!